I had convinced myself the Apple Watch was an overpriced fitness band and that it wasn’t for me and was set to get a Garmin to track my running instead. Then out of the blue I was given an Apple Watch. So you can certainly put me down as a cynic, but I certainly like to think I am open minded, so here are my thoughts after a week with the watch. The experience of getting it set up was surprisingly frustrating, I had to upgrade my phone to iOS 8 before I could activate the watch and that meant deleting things to free a few Gb of memory (to upgrade my Operating System, really?). So everything had to wait until after I got home and backed up my phone. 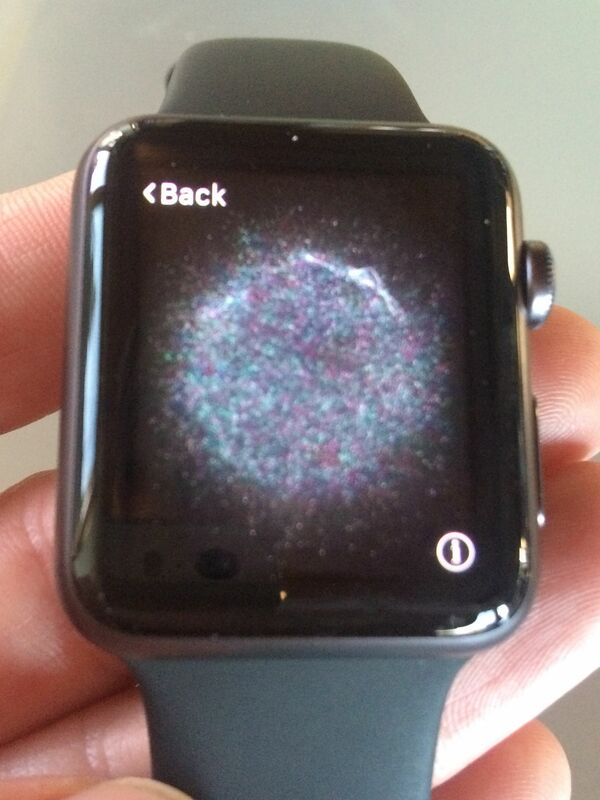 First I got this rather cool visual on my watch to scan with the phone and then it was paired and I got this screen telling me the model that I had bought. OK so I still could not get the time from this watch and I have had the thing all day, I’m getting a little impatient at this point. After waiting about 5 minutes for it to synch, suddenly a load of my apps, including my email, texts, calendar, twitter fitness apps and more are available on my watch. This is about to get interesting. The first thing I noticed is that it is actually really easy to ready and see at a glance the notifications that are sent to your watch, such as Calendar reminders, text messages and Oracle Social Network updates (glad to see we are quick to the new platform with our own mobile apps). This is good for me, I get a lot of these alerts and I found a glance at my wrist was much nicer than pulling out my phone and unlocking it and starting at it. This sounds like a very small thing, but it is these small improvements in frequent interactions that make for a great user experience. I also agree with Jeremy Ashley about the huge value in being able to retain eye contact, notifications on my watch are far less obtrusive and the glance at my wrist it is a great experience. 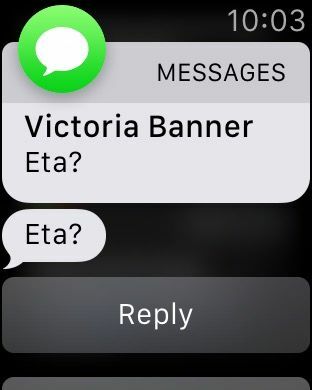 So I wanted to try using it for some different things so I decided to test out text messages first, a quick SMS to respond to my wife’s text ‘ETA?’ to let her know what time I am planning to get home. My wife and I prefer very efficient communications. I can now either pick from a set of pre-defined responses and they would be sent without any other interaction from me. However I like the personal touch, this is my wife after all, so I decide I will click on the microphone icon to dictate a response. I speak in my answer and see the sound wave at the bottom and the text comes up perfectly first time. So now I click done and get a really option to either send the audio or to just tap on the text and send that. 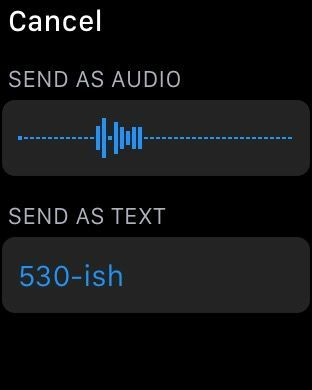 This is a great feature if maybe the voice to text didn’t work properly and I don’t want to waste time correcting it or speaking it again. After tapping on the text I am now done. The whole interaction was very fast and felt very natural. At this point I am really starting to like the Apple Watch. In the next few days I try driving directions, twitter, my calendar, a variety of fitness apps and more and pretty much across the board I find the interactions are natural and quick and the fact I have to pull out my phone less is a much bigger deal than I expected. 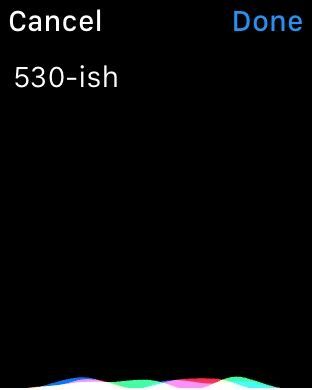 I find I can glance down at my watch see a text or meeting reminder and carry on a conversation in a way that was not really possible if I had to pull my phone out. 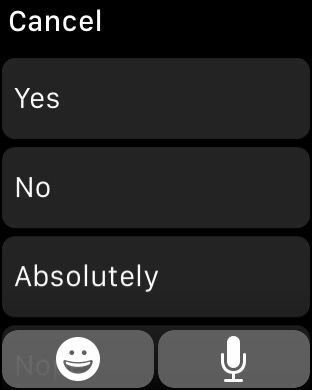 The one app I haven’t yet mentioned is the time, I haven’t worn a watch for over 10 years and I have realized in the last week it’s much easier to glance at my wrist than to pull out my phone – who knew? Finally I will be at a conference where my British accent, specifically my North West of England accent will be understood. This will be my first time presenting at the UK OUG Conference and what better place than Liverpool to do it? Home of my beloved Everton F.C., hometown of my parents and less than 20 miles from where I grew up (People from Liverpool would call me a woollyback) just outside Wigan. So I will try to remember to shift from the Californian drawl I have picked up over the last 14 years and into my finest scouse accent. I’m going to be presenting two papers which will showcase not just the powerful features that can revolutionize how you run your business, but also the amazing use experience, mobile and social features available in our ERP Cloud. Both are on Monday and one is right after the other, so I’m a little bit apprehensive about having 10 minutes to dash from one room to another, get set up and start again. Here are the details of the sessions, or just search for ‘Haimes’ and you’ll find them. Add them to your agenda, because they are both ‘must not miss’ sessions. 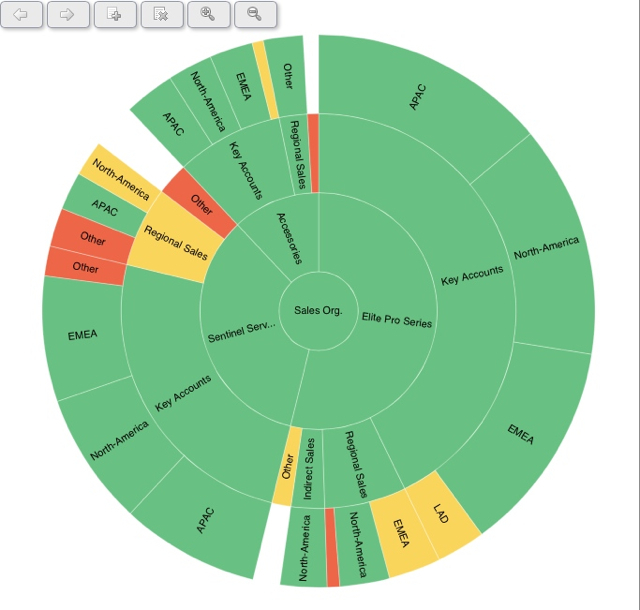 Oracle E-Business Suite Coexistence with Fusion Accounting Hub & Implementing a Global Chart of Accounts. This is a great session with a lot of content to pack in but I know the area well and am very passionate about it and have seen first hand how big a deal this is for businesses. Oracle ERP Cloud Service Social & Mobile Demonstrations. Doing live demos, with multiple different devices to switch between and using a live cloud environment on a conference WiFi make this a logistical challenge. However when you have a phenomenal user experience, the best thing to do is show it live, so bear with me because we have some pretty cool features to show.